Vietnam’s agriculture forestry and aquatics industries generate annual revenues of US$30 billion and should have attracted investment like a magnet— but a slew of obstacles make it a tough sell for foreigners. At a recent conference convened in Hanoi hosted by the Ministry of Agriculture and Rural Development (MARD), leading officials and analysts discussed the barriers to obtaining foreign direct investment (FDI) and opined on solutions. 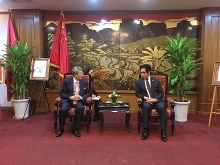 “There has just not been any significant foreign investment or projects in the sector,” said Le Quoc Doanh, MARD deputy minister, adding that the average size of projects have been paltry as well, averaging only US$7 million. The funds that have been received have also been primarily coming from Taiwan and Thailand, while that from the more desirable US and Japan high-tech companies remain inconsequential. “It has just been one roadblock after another and in the final analysis only a scant portion – less than 1% – of the nation’s total FDI has gone into the agri-forestry and aquatics sector,” Doanh underscored. 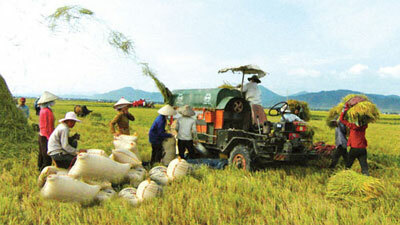 Doanh believes the primary handicap for the agriculture industry in particular is that the scale of production in Vietnam is too small, which is compounded by inadequate infrastructure and low worker productivity. 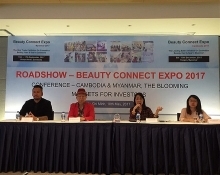 Another big stumbling block is that investors are cautious about the legal system as the Law on Investment was almost entirely directed at soliciting investment in manufacturing, said Pham Manh Dung, a lawyer at the Rajah & Tann LCT Law Firm. Potential investors need clear laws to understand how their activities will be affected by government regulations before they are willing to underwrite major projects, said Dung who serves as a consultant for MARD. At the conference Dung revealed that he is currently drafting an amendment to the Law on Investment to specifically clarify policies and procedures for investment in the agri-forestry and aquatics sector. In addition, tax incentives have not been as favourable as that for the manufacturing sector Dung said, adding he is incorporating 100% tax exemption for earnings from investments in the sector for the first four years reduced to 50% for the following nine years. The proposed amendment will also address increased funding by the government for employee training to put the agri-forestry and aquatics sector on par with the manufacturing sector, Dung said. One of the difficulties cited by a number of those in attendance was the unduly length of time and the number of agencies that foreign companies have to deal with to obtain the necessary business licenses and permits. Procedures should be implemented to move to a – one-stop shop – for approvals, to streamline the process and create a business environment more conducive to investment, others noted. A representative from the Japan International Cooperation Agency (JICA) said import duties for new machinery and equipment are excessively high and should be reduced to help stimulate investment in the sector. Currently in the manufacturing sector Japanese companies are regularly importing new technologies from overseas and the exorbitantly high tariffs are dragging investment down. To be sure, MARD is pursuing reforms to make the agri-forestry and aquatics sector more attractive to investors, but at the conference no one expected a quick fix./.